Hello, traveller! Are you heading over to Arunachal Pradesh this month? Then there is one event you simply cannot miss. I know you’ve missed Ziro festival and might not be very pleased with that. Wouldn’t want you missing yet another exhilarating festival, would I? 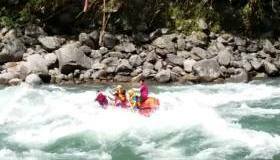 So here is where you should be heading this Jan – the Kameng River Festival. I read about it by chance, recently and knew that more people need to know about this fest. Wait till you see some photographs of the festival, they are – divine! Kameng River Festival is a three day fest to be held at the town Seppa on the banks of river Kameng from January 21-23, 2016. A tourism extravaganza, the theme of the event is ‘Explore The Unexplored’. 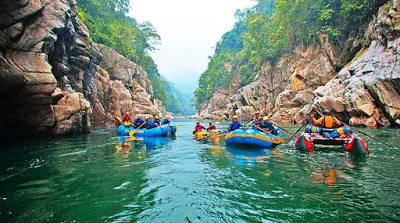 At the festival, you have the opportunity to participate in adventure sports like water rafting, rappelling, fish trapping, paragliding, zip lining, along with other attractions like beach volleyball, cycling, bamboo stilt walking, etc. The festival will be an attempt to spread knowledge of the local tribal hospitality as well as adventure tourism amidst visitors. Tourists get to enjoy in home stays and local delicacies at affordable rates. You also have the option to stay in tents, on the river side. Special events for this year are traditional fishing, traditional dances & songs, traditional fashion show, local cuisines & beverages, local war dances, ride to Chayangtajo and Papu valley as well as local sports. 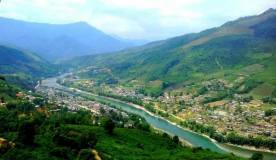 The nearest airport to Seppa which is the East Kameng district of Arunachal Pradesh, is Tezpur and about 5 hours away. Guwahati is about 8 hours away and better connected with the rest of the country. Itanagar, the capital of Arunachal Pradesh is about 8 hours away from Seppa. Note: This is not a sponsored post, but an attempt to spread awareness to other travellers.